“Antibiotics are rampant in our food supply.” These were the exact words Dr. Nancy Snyderman of NBC Nightly News stated in a news story she presented recently about antibiotic resistant bacteria. There is no question that antibiotic resistance is an issue and it needs to be addressed. As a mom and grandma, this is a scary problem–really scary. The issue I have is not the story, but what she said towards the end of her piece. She made an “over the top” comment about antibiotics being rampant in our food supply. Rampant means uncontrolled, unrestrained, unchecked, spreading. With that, I have to disagree with her allegations. I view this as just another jab at creating food fear. But when you hear and read statements like, “80% of all antibiotics sold in the United States are sold for livestock use. A vast majority of these drugs are fed to livestock day after day to help the animals grow faster and to stave off disease that could result from overcrowded, unsanitary living conditions.” (written in the Sacramento Bee) you understand why people like Dr. Snyderman and others make these type of allegations. 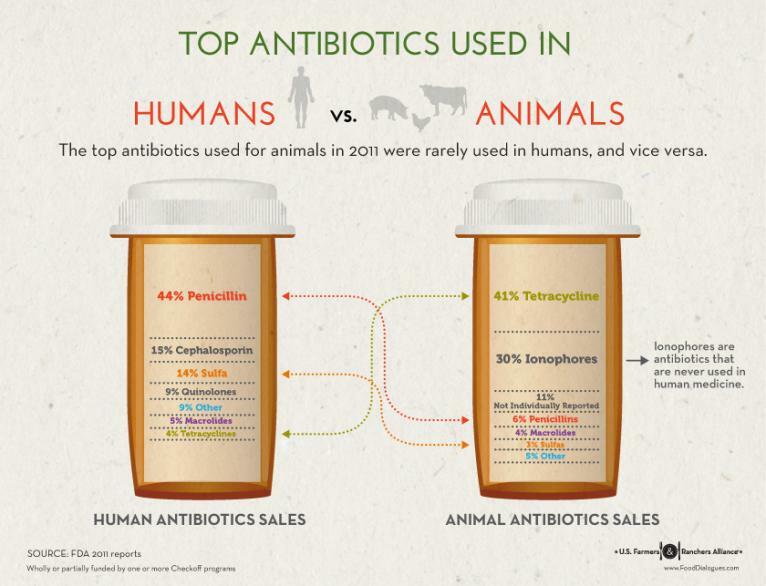 You can see why people throw out statements like 80% of antibiotics sold are sold for livestock use. 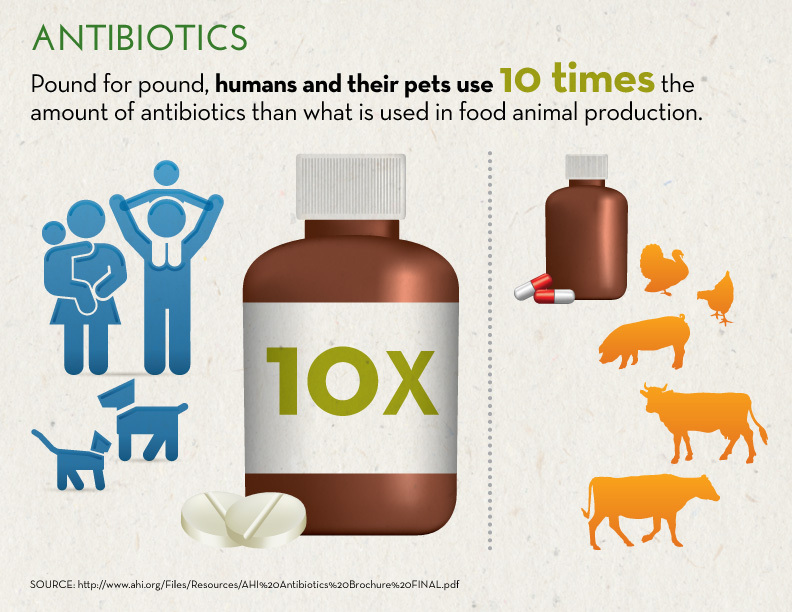 But in reality, pound for pound, humans and their pets use 10 times the amount of antibiotics than what is used on livestock farms. On our farm, we use antibiotics strategically. By strategically I mean we only give medications to those animals that are sick or animals that have a high probability of getting sick due to stressors. We only use antibiotics that are approved by the FDA at the proper dosages and more importantly, under veterinarian direction and oversight. Farmers also follow a strict drug withdrawal schedule. Withdrawals are the time from last dosage given to an animal to the time the animal is sold to the market. Withdrawals result in antibiotic-free animals. ALL meat sold is antibiotic free. Also, drugs cost money and so it doesn’t make sense to give animals more drugs than they need. Farmers and employees are trained in proper drug administration in animals. 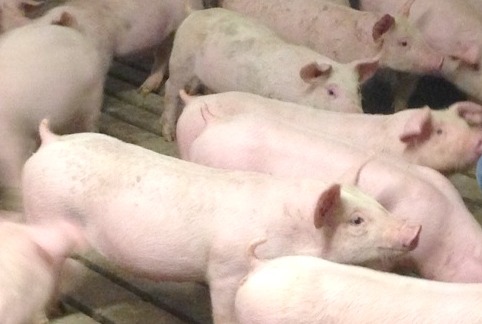 About 75% of hog farmers in the United States are certified in the PQA Plus program. PQA Plus is a certification program where farmers and employees learn best practices on animal care and food safety issues. A significant part of the training is on proper animal drug administration. In fact, many of the major meat packers require their hog suppliers (farmers) to be PQA Plus certified. We are one of those farms where PQA Plus is a requirement with Hormel, the meat packer we sell our hogs to. And honestly, we would have went through the training even if it were not a requirement. A manual is given to each participant and more than half of the manual is about learning the proper way to handle and administer medications. All PQA Plus participants are required to pass a test and farms also need to complete an on-farm assessments to make sure PQA Plus principles are followed. On our farm, we log every drug given, along with date, the location and the reason why the drug was administered. We take administering drugs very seriously on our farm. PQA Plus certification shows farmers are striving to be better. Here is more information about what hog farmers do to earn consumers’ trust. Even though the crossover of drugs used in both livestock and humans are small, we still need to address drug resistance bacteria. What other steps are agriculture doing to help? According to the The Farmer, five drug companies holding 19 animal drug applications for anti-microbials used in food-producing animals have asked the FDA to withdraw approval for those products. This is a voluntary action. Their requests are a result of FDA’s plan to help curb antimicrobial resistance by phasing out the use of medically important antimicrobials in food-producing animals for production purposes. I am glad that Dr. Snyderman is talking about the important issue of antibiotic resistant bacteria. The majority of her report was about how humans need to take responsibility. Being a mom and a farmer, I take this issue to heart. There would be nothing worst than having a loved one sick with a antibiotic resistant bacteria and having no effective drugs to give them. I hope with the increased awareness, we can ALL work on the problem. Read here to find out what we as humans can do to help the antibiotic resistant bacteria problem. Agriculture IS working on their part and it’s time the medical field works on theirs. As always, science and research should be the driver in any drug changes made in animal agriculture. I would also love to see less sensationalism and more accuracy in Dr. Snyderman’s stories. She is a respected and trusted doctor and her viewers deserve that. Thank you for addressing this, Wanda! Very well written! Do you know how much farmers use antibiotics prophylactically? Talked to our cattleman neighbour about this on the weekend and he said he never ever does it as it’s money out of his own pocket and drugs can be very expensive. Far more effective to treat one sick animal and quarantine if necessary than to preventatively treat all the whole herd. Thanks Sarah! I will do some research and let you know. I am in the tractor today. I had no idea the amount of training that pork producers went through. That was most interesting. Thank you! I may just have to do that! Wanda-Thanks for this great information about antibiotics! I’m starting a weekly ag blog round up over on my blog and am planning to share this post today!